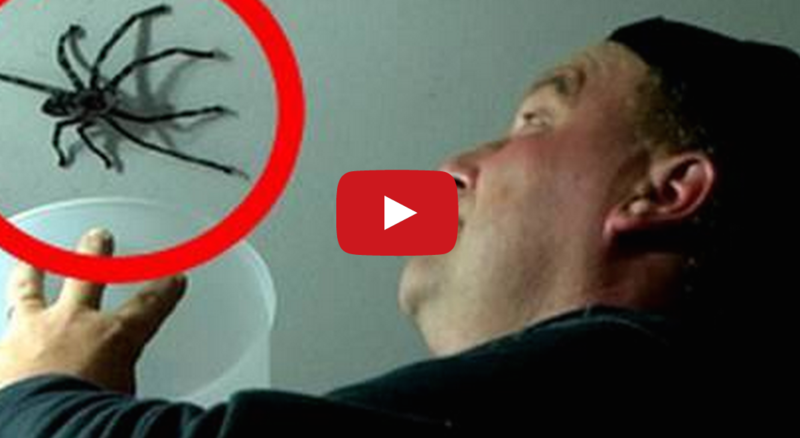 FAIL: See What Happens When A Man Tries To Catch A GIANT Spider With A Plastic Bowl. WARNING: Do not watch if you have a fear of spiders. Do not attempt this at home, spiders the size can be very dangerous. Unfortunately, at this man’s house, there is an infestation of giant spiders which can attack at any moment. This video is an attempt at catching a giant Huntsman spider, it’s mating season and the female spiders are out looking for a male. She Lost Over 550 Pounds, You Won’t Believe What She Looks Like Now!